Being a microbiology student has its perks. 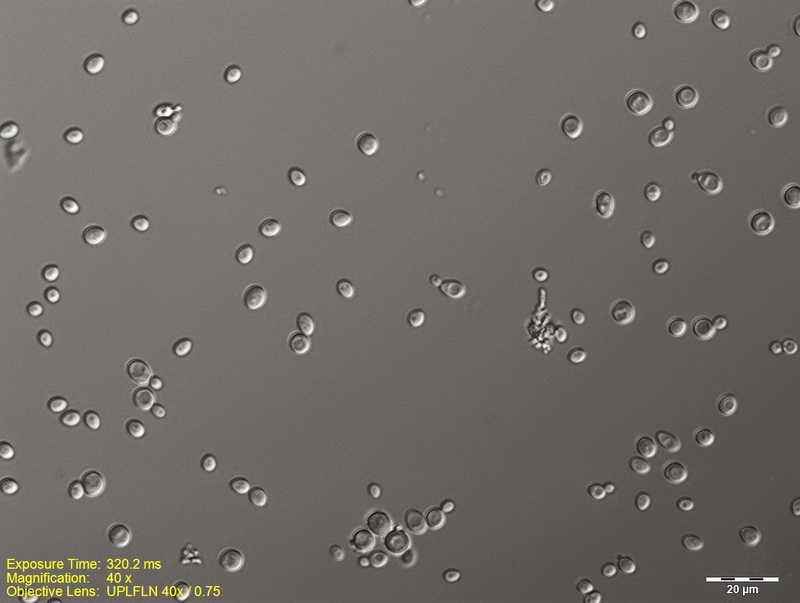 I've been taking samples of yeast into the lab for a series of pictures in my free time, and with the uproar about Brett Trois I figured I would take some pictures for fun. 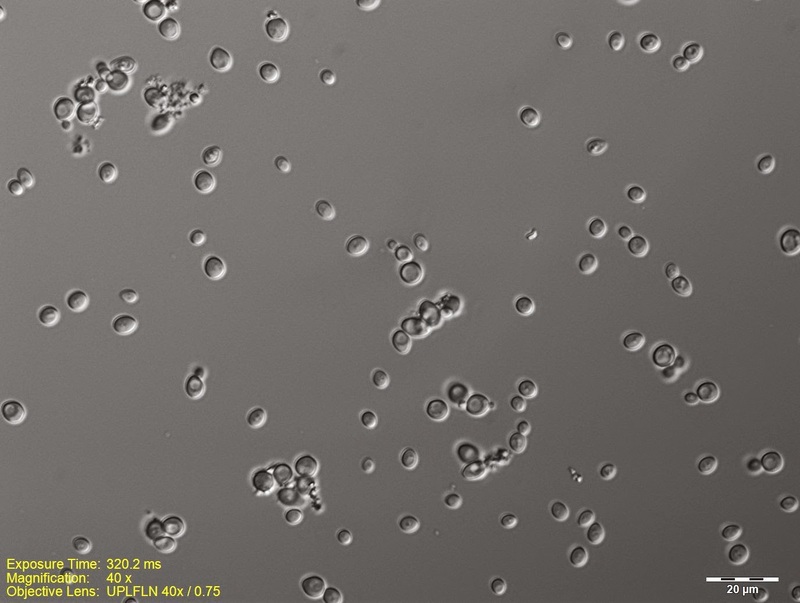 In the next month I'll be growing up some wild yeast samples that I collected from crab apples, so I figure it would be neat to micrograph those as well, especially because they all seem to form some nice pellicles in the test tube. I don't have a lot to say about this to be honest. 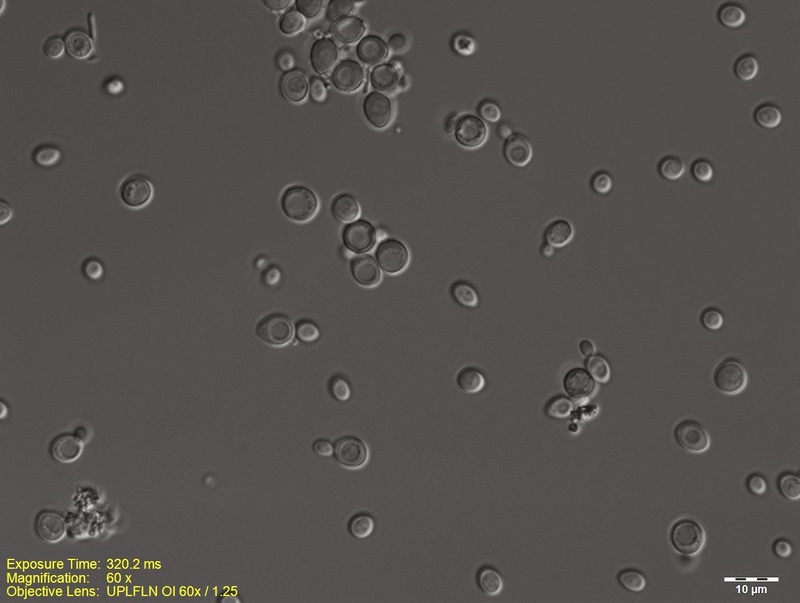 Not surprisingly, the yeast cells seem to be pretty similar to saccharomyces yeasts - a round morphology. 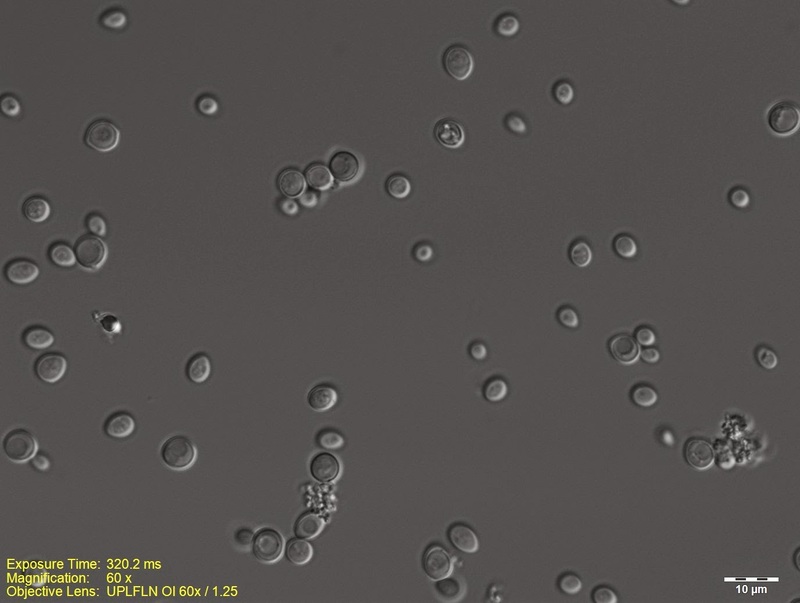 Micrograph pictures of Wyeast Brettanomyces lambicus show a very interesting long stretched morphology where you can see pseudohyphae formation. I like this last picture especially, as you can see several of them budding. I took this sample from the starter that I pitched to my Spanish Cedar aged IPA (which I sampled, and after a week on 2.5 oz of spanish cedar cubes doesn't have any cedar flavor yet). Look forward to more yeast-oriented posts in the next month where I'll be testing and micrographing my new wild yeast collection. I'm hoping to find some interesting Brett strains to share, and hopefully to find a good 100% Brett strain that I can use rather than Trois.